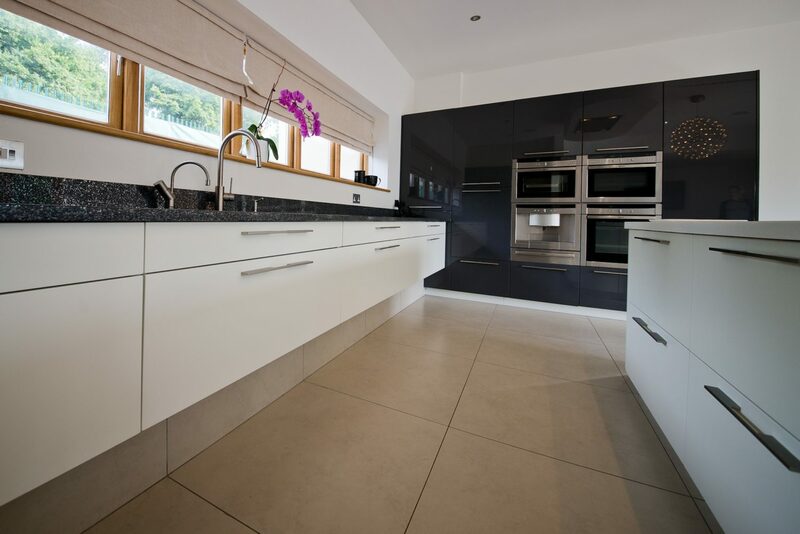 This client had recently moved into their new home and wanted to put their own stamp on the kitchen area. 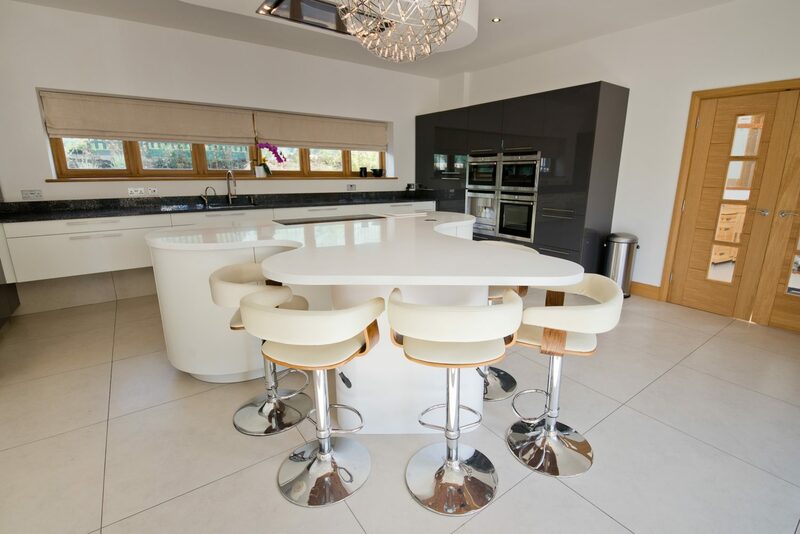 They wanted to get away from the existing cream kitchen and stained wooden tops. 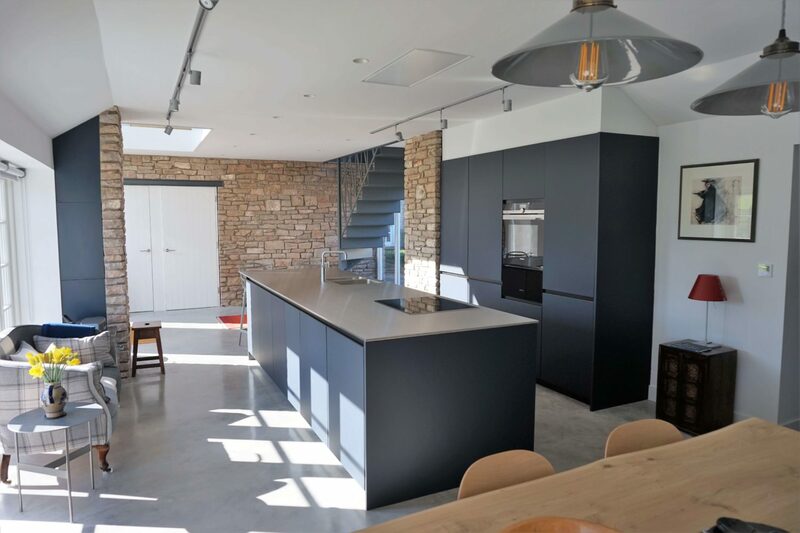 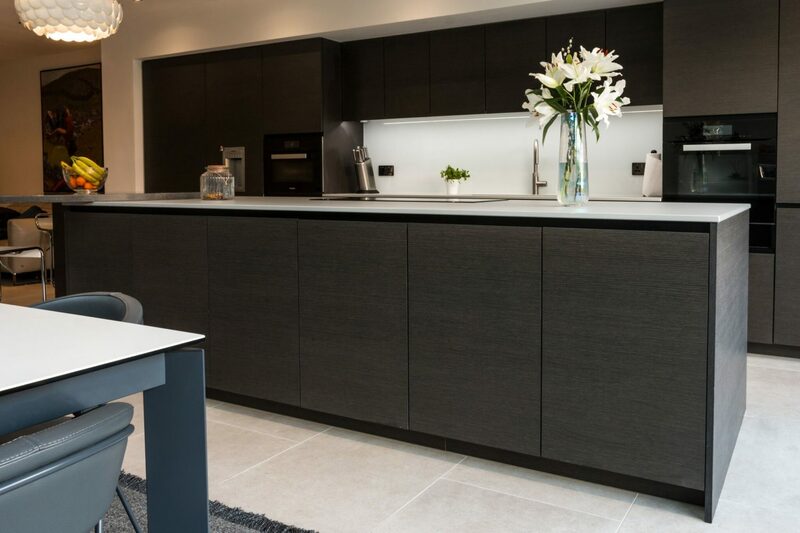 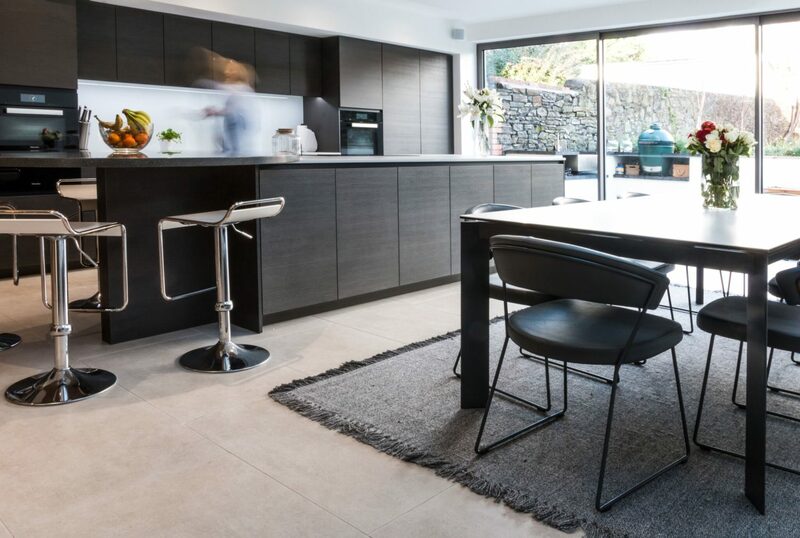 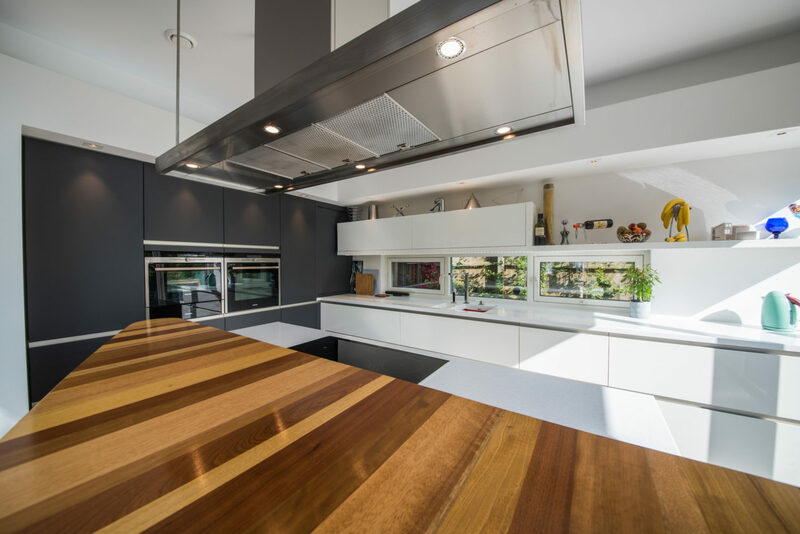 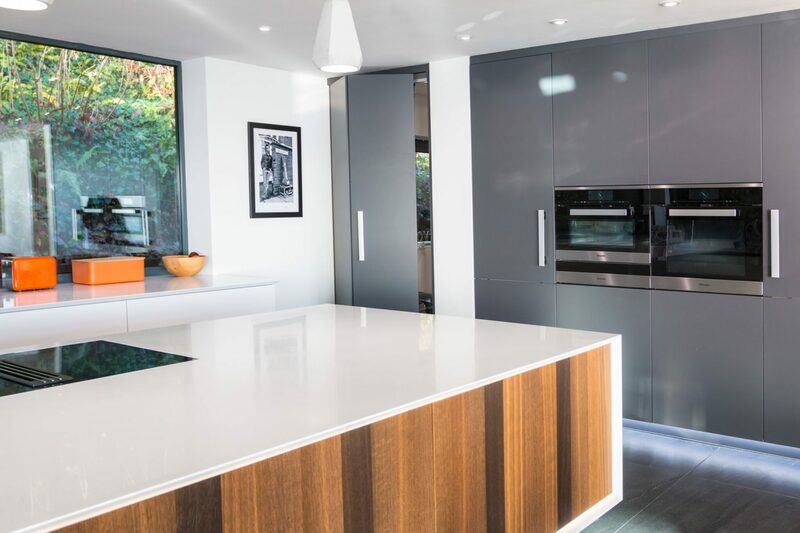 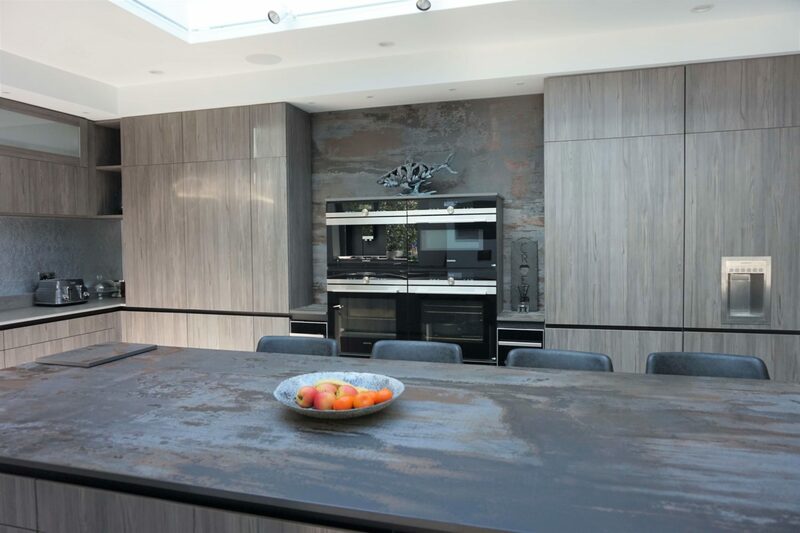 Inspired by the external structure of the property, this kitchen was all about using a mixture of natural woods and contemporary colours, to design a modern and welcoming space. 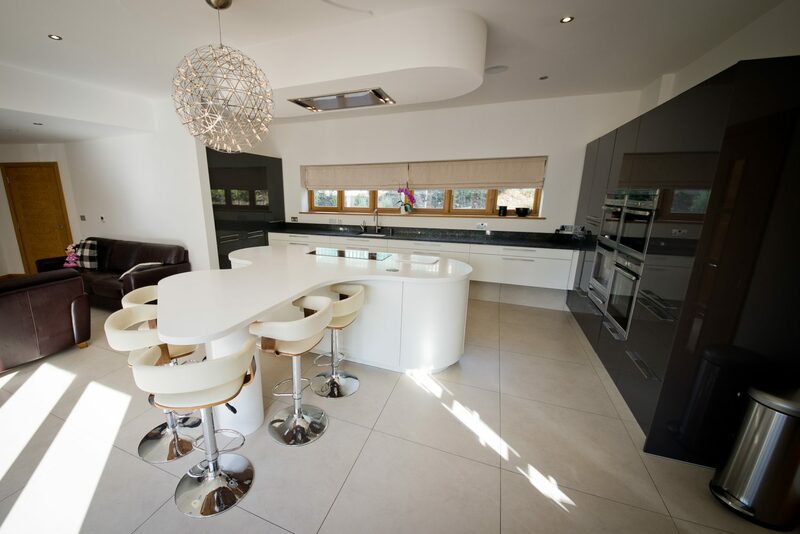 As the clients were architects themselves they had a good understanding of composition and layout. 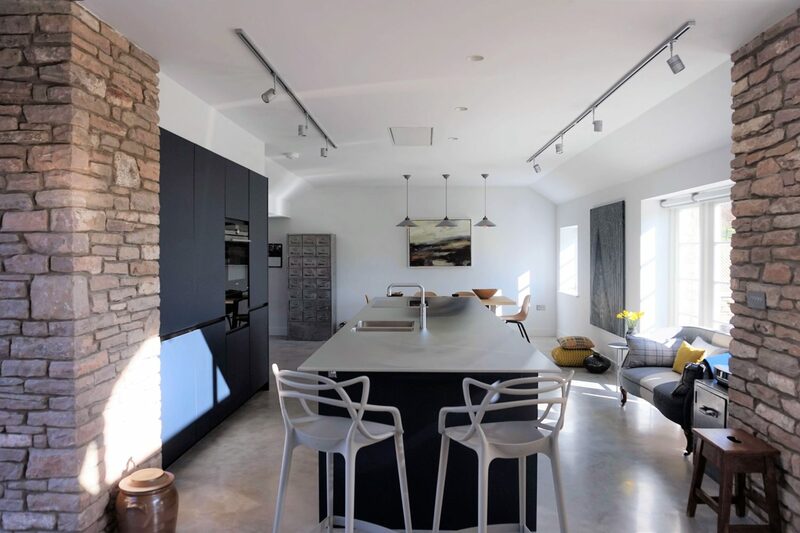 The house had been designed with a limited pallet of finishes, including natural slate, lime render, zinc and timber. 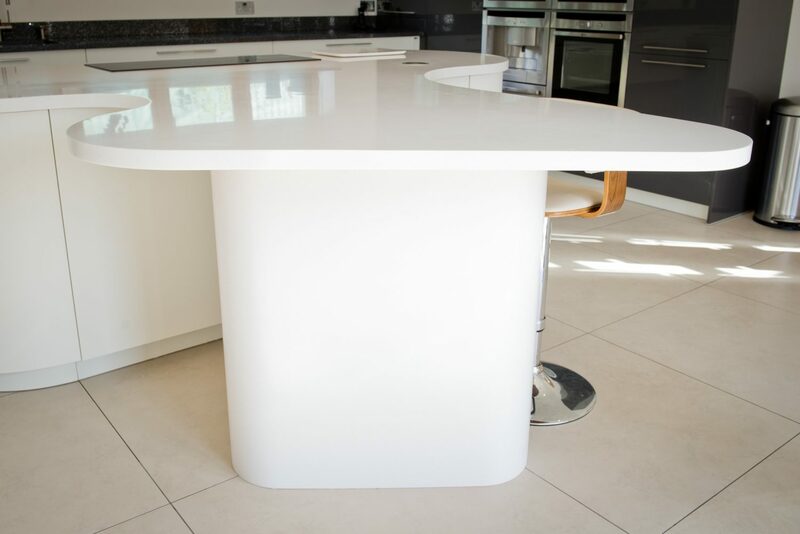 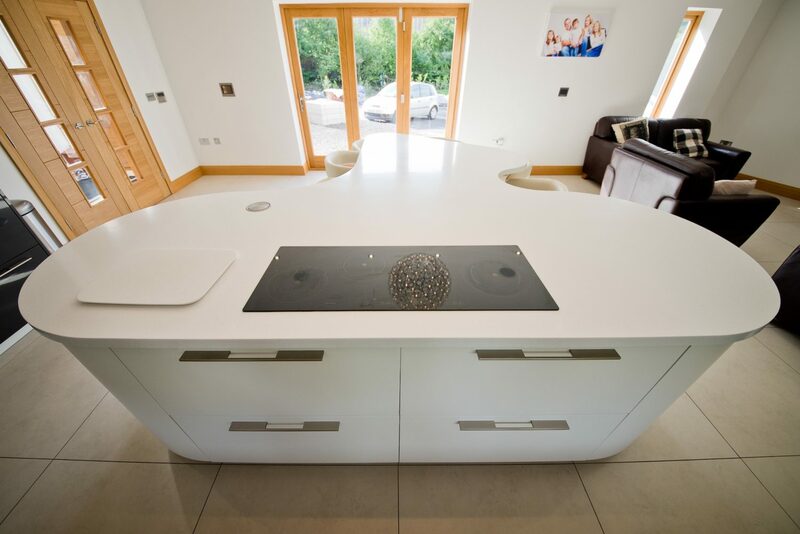 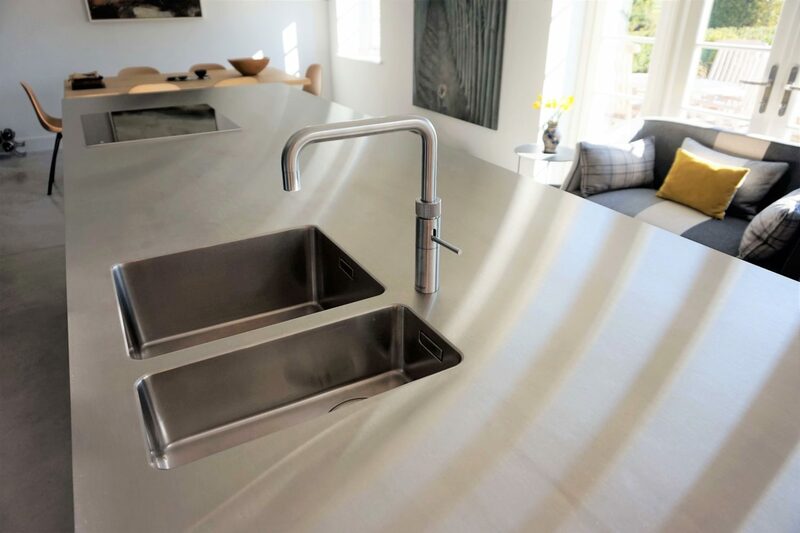 Breath-taking organic shaped island with curved elements and contrasting high gloss tall units. 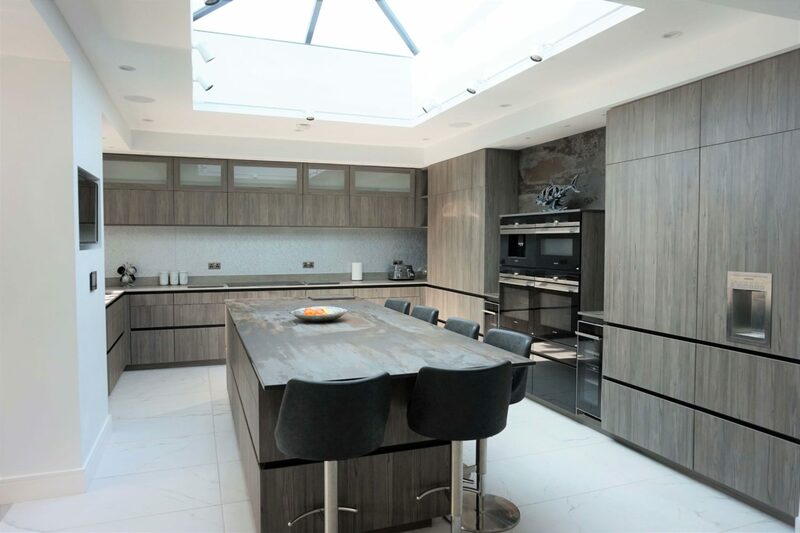 A family kitchen space to include room at the island to seat 5, for casual meal times. 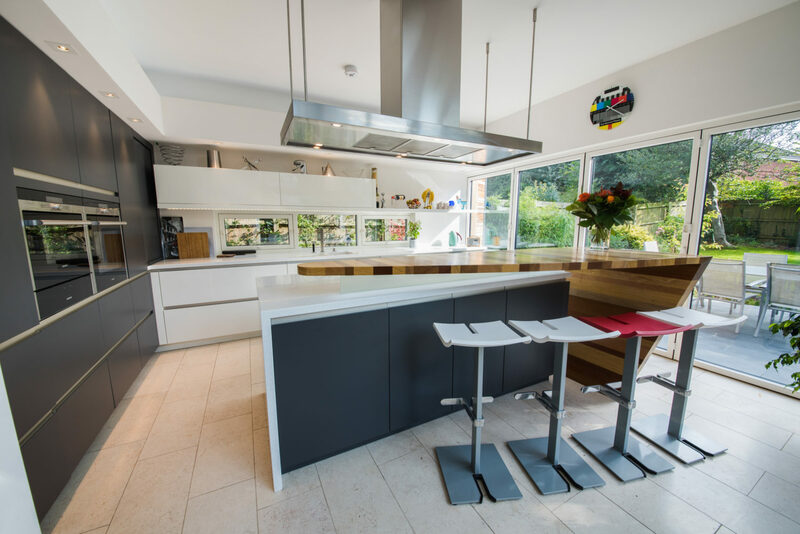 It was important to get the balance right between sharp angles and softer curves, to ensure a contemporary feel, whilst enabling a good flow around the room. 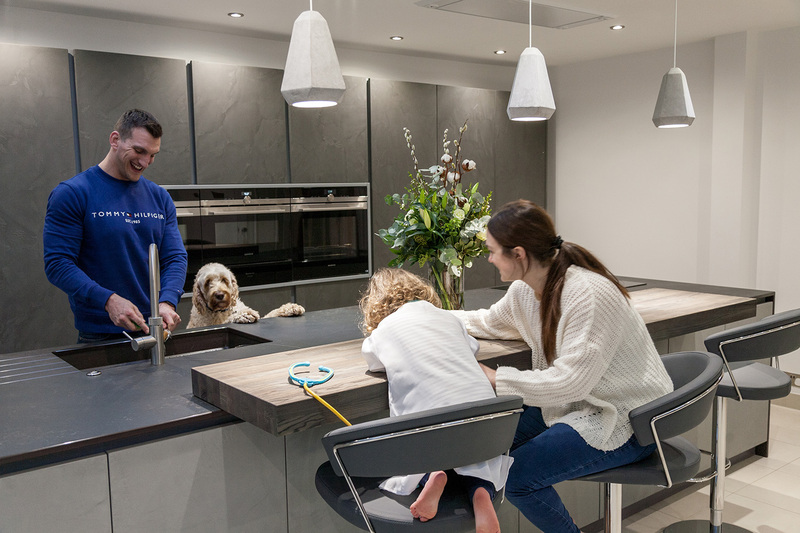 When these clients first visited the studio, they were in the process of a total renovation of their home. 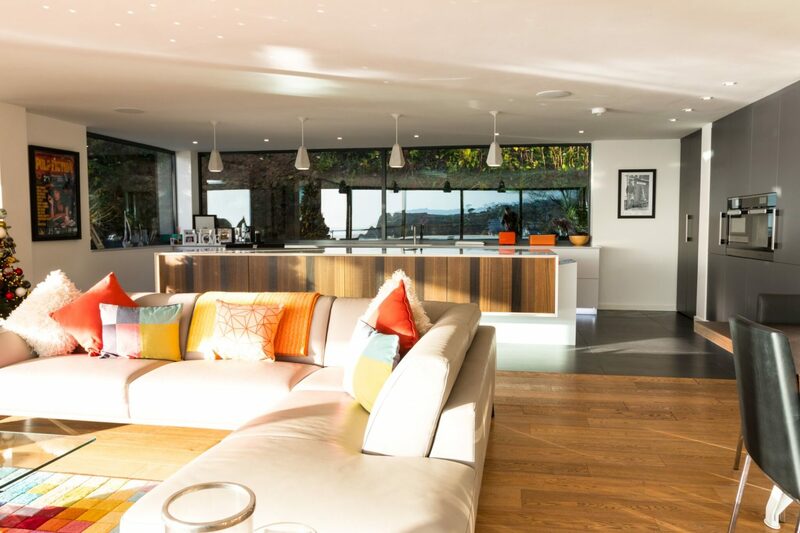 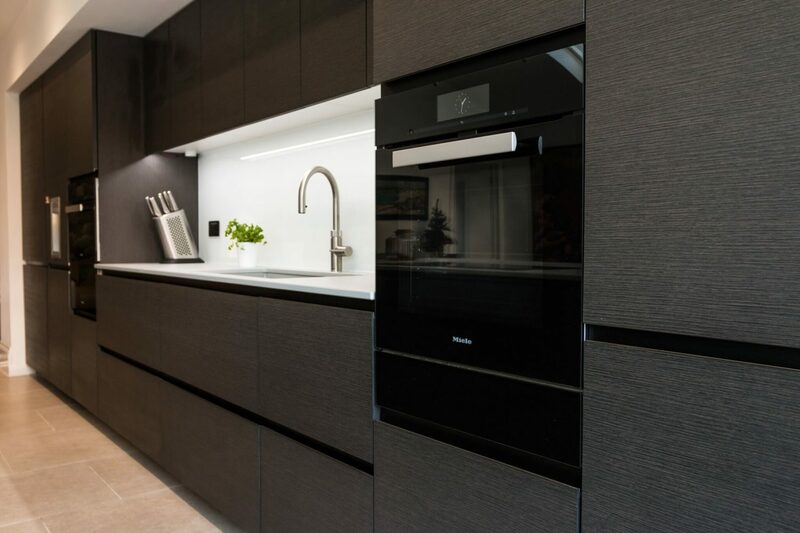 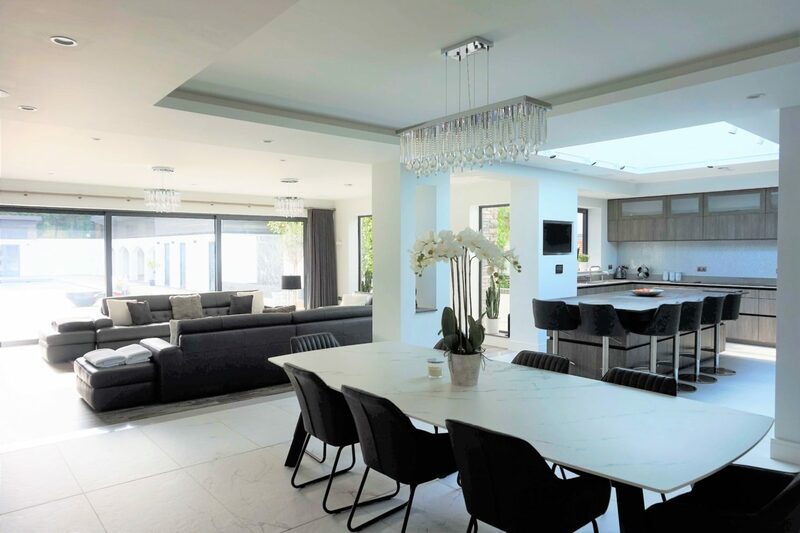 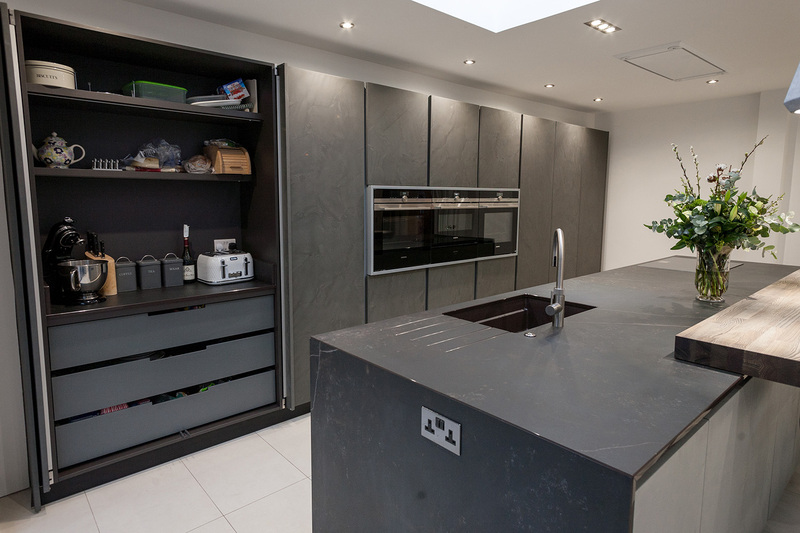 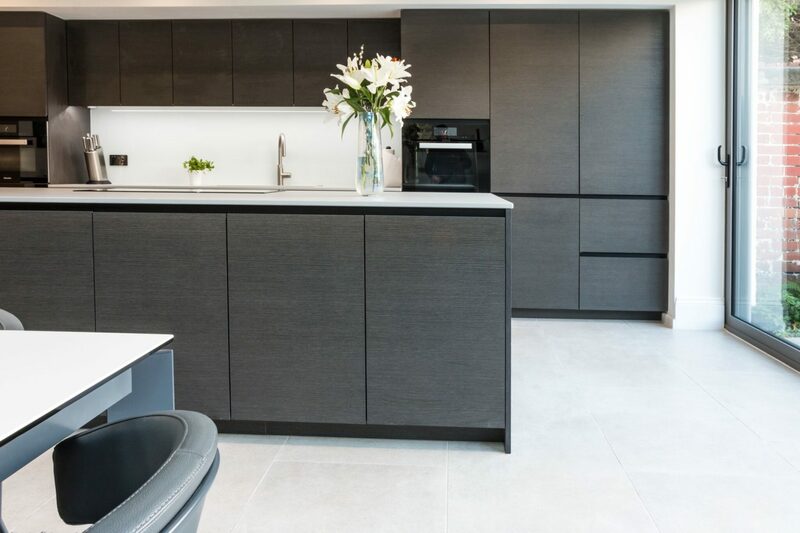 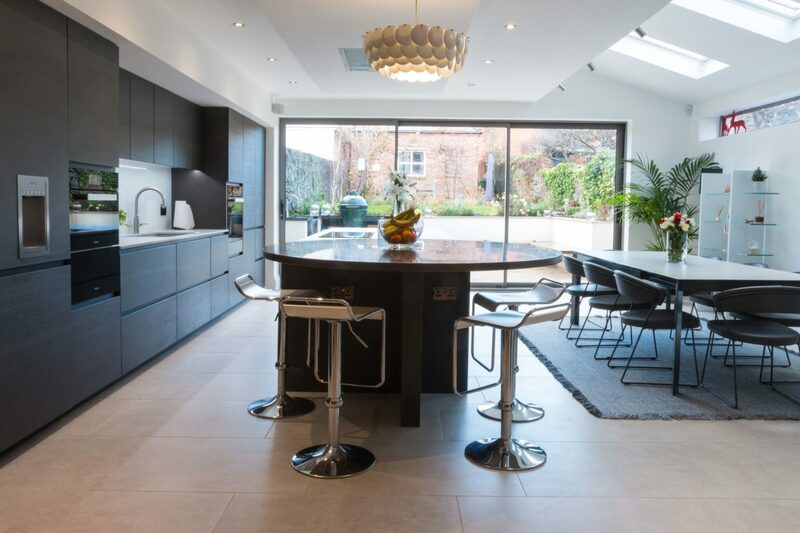 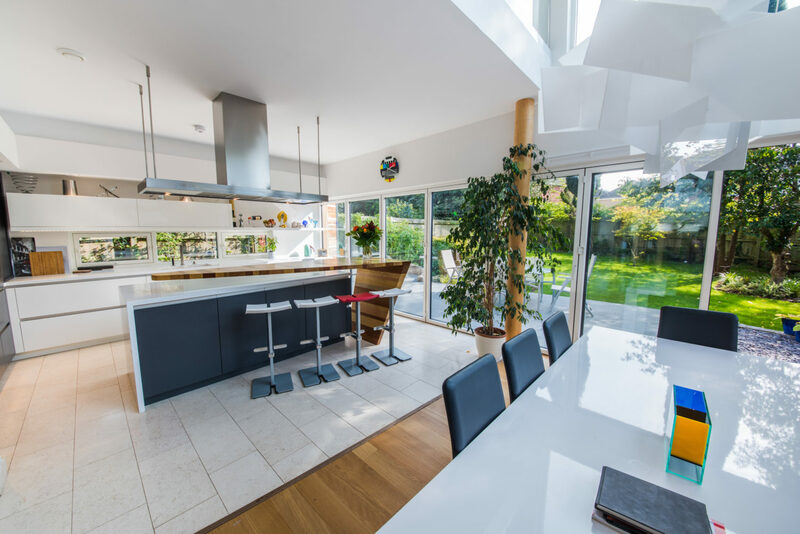 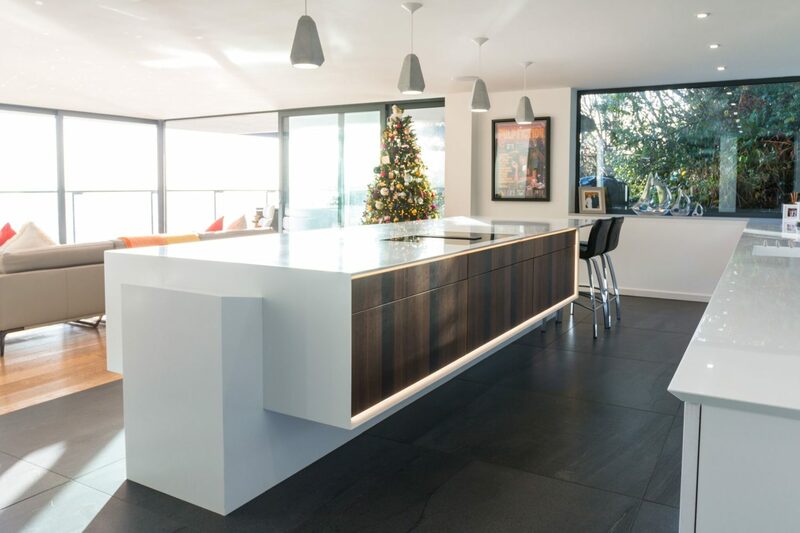 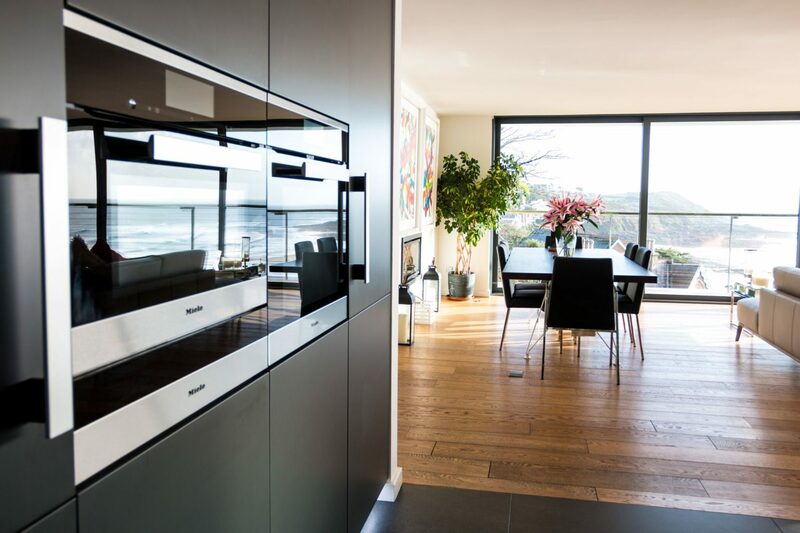 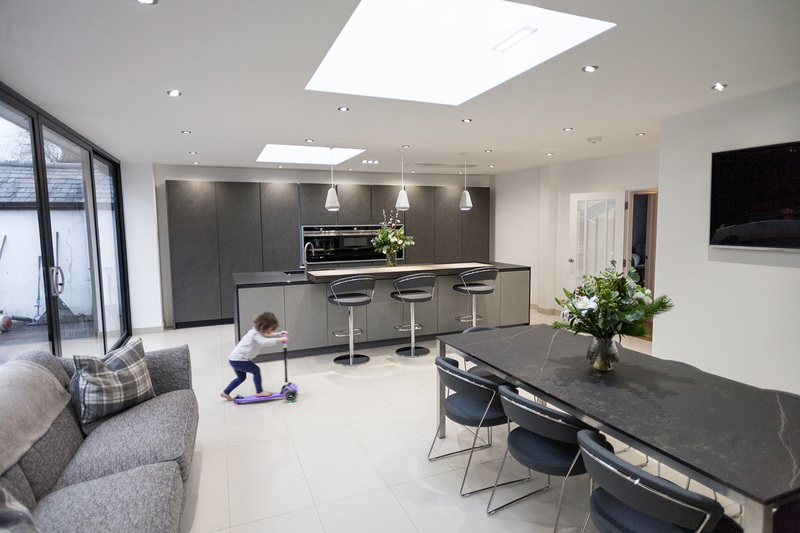 They required a statement open plan kitchen to accommodate their busy lives and large family.